Roosters that deceive their hens? Mother deer that grieve? Horses that feel shame? We humans tend to assume that we are the only living things able to experience feelings intensely and consciously. But have you ever wondered what’s going on in an animal’s head? 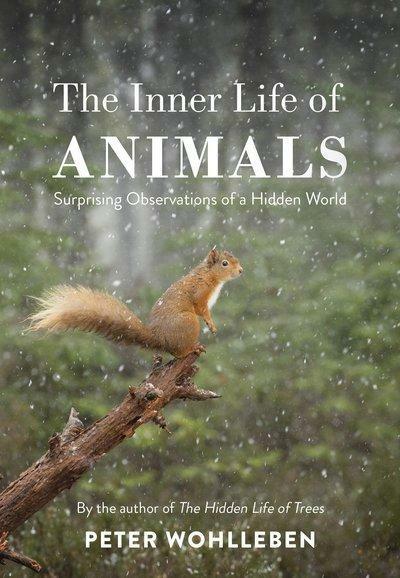 From the leafy forest floor to the inside of a bee hive, The Inner Life of Animals shows us microscopic levels of observation as well as forcing us to confront the big philosophical, ethical and scientific questions. We hear the stories of a grateful humpback whale, of a hedgehog who has nightmares, and of a magpie who commits adultery; we meet bees that plan for the future, pigs who learn their own names and crows that go tobogganing for fun. And at last we find out why wasps exist. Our fellow creatures are not mindless automatons driven by an inflexible genetic code, but individuals with personality and feeling. The Inner Life of Animals will show you these living things in a new light and will open up the animal kingdom like never before.